The sun rose just as we set out, at 11 am. How exhilarating to be on a joyride on steaming furry power machines trotting in a long line over the tundra. 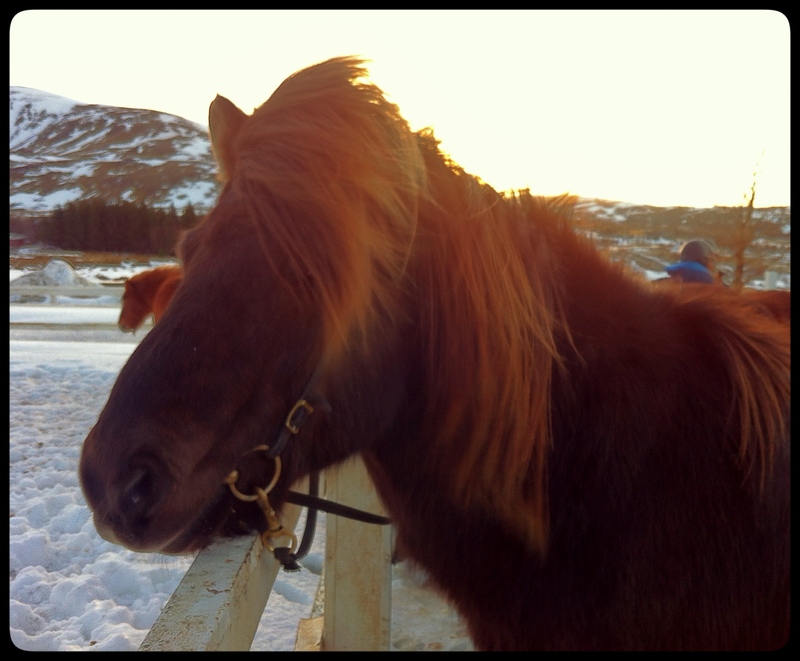 Icelandic horses are small and sturdy, and I thanked heavens for choosing duck boots as they got a good dip while crossing icy rivers. 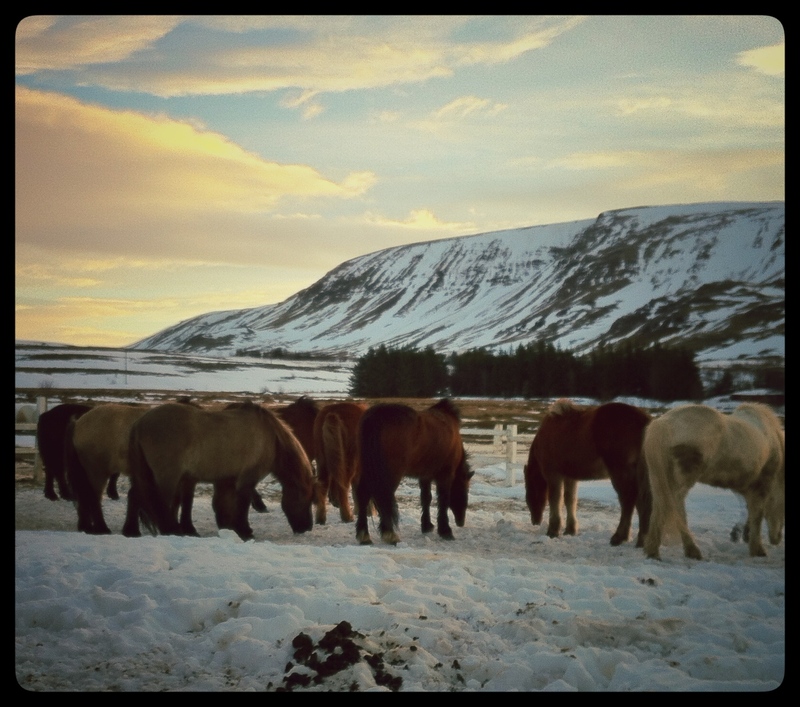 Iceland is ice and fire, and so are its native horses. We tölted across the tundra while frost tipped the golden wisps of the rugged creature carrying me. 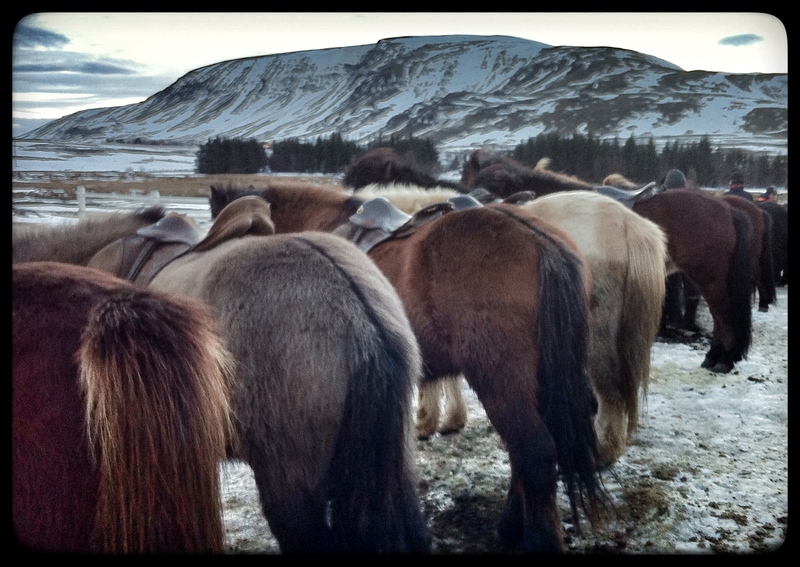 I buried my wind-chilled fingers into the heat glowing underneath the fur and reflected on the smoldering core of volcanoes and Icelandic horses. Categories: Travel | Tags: outdoors, Scandinavia | Permalink.